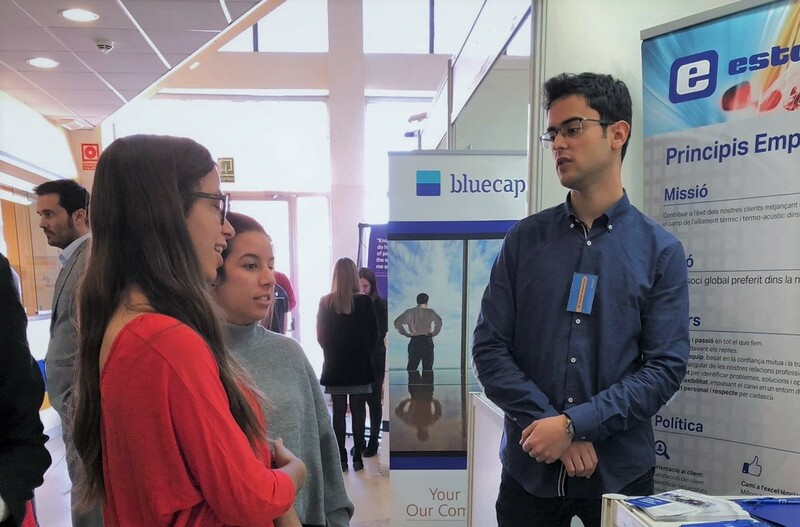 Yesterday, 7 March 2018, our talent recruitment department took part in the ESEIAAT Forum of Companies, an annual event held at UPC (Universitat Politècnica de Catalunya) in Terrassa, Barcelona (Spain). This is a meeting point at which to interact with students and new graduates from the industrial sector and offer them guidance about their professional future. 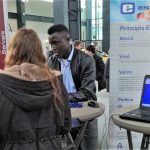 Estamp is a global company in full expansion, and the Forum offers us the possibility of presenting ourselves and allowing engineering students who are seeking jobs to get to know us and our activities in the automotive sector. 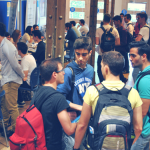 It offers us a very useful access route for recruiting future professional engineers who will form part of the industrial sector, and even perhaps Estamp, in coming years. The XII Forum of Companies gave us the chance to meet young people with great potential who are eager to resolve their professional future and to practise networking with other collaborative companies. We were very pleased to attend this year’s edition and have the opportunity to invite young people present at the Forum of Companies who are concerned about their future to get to know us.